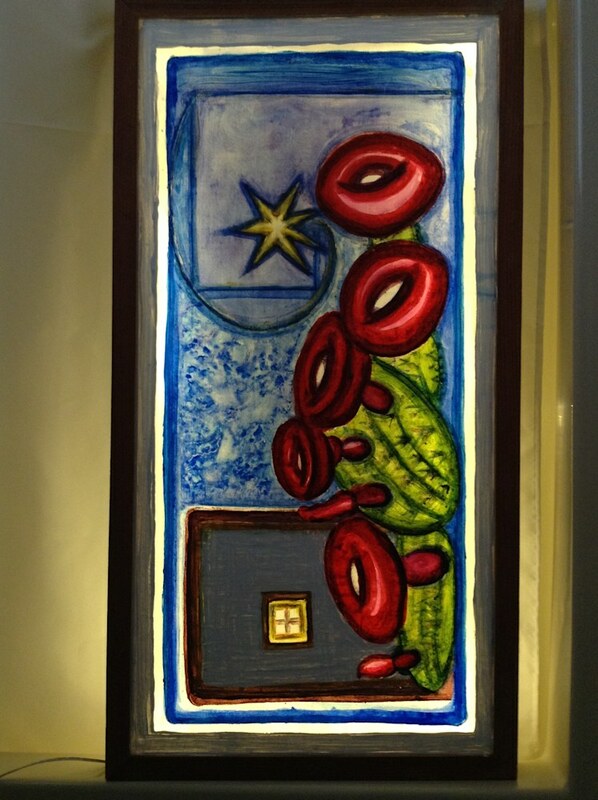 This is Light Art with a remote control, paintd on Habotai Silk, and featuring a custom frame. The mountains in New Mexico are wonderful, and often at night you can see the light coming through the windows of tiny pueblo houses. This painting feautres cactus fruit and the starry sky.